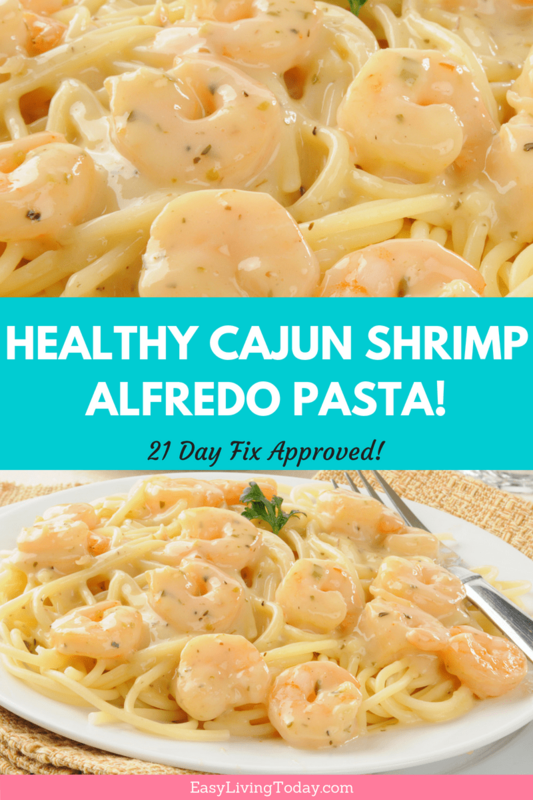 Deliciously Creamy & Healthy Cajun Shrimp Alfredo Pasta Recipe! I have always been obsessed with pasta, especially any that involve alfredo sauce 🤤. It’s one of the reasons I just couldn’t last on keto. 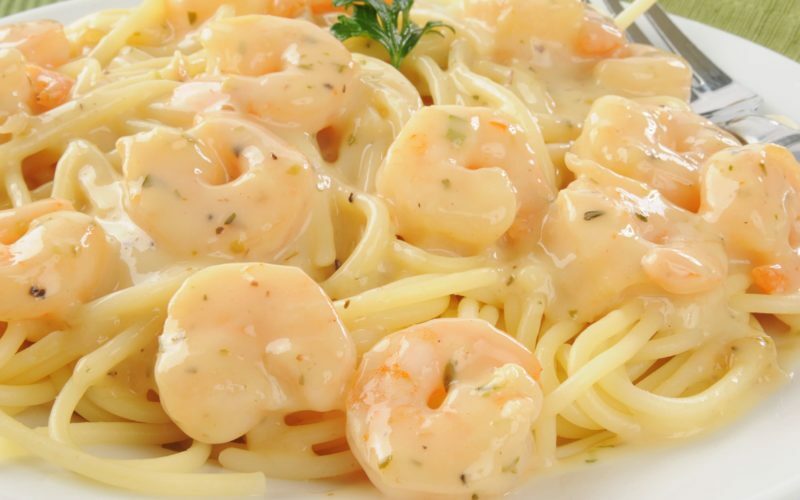 My husband likes a kick to his food, so the cajun spices are the perfect touch of flavor and spice to this cajun shrimp alfredo pasta recipe. Honestly, he doesn’t even know it’s a healthy recipe. Yeah, it’s that good! It’s spicy though, so it’s one thing we cannot share with our toddler. But if you have kids who like spicy food then it’s totally fine. Also, if you want less spice just don’t add as much cajun spices. Either way, this recipe is loaded with protein, good carbs and good fats. Make sure you give it a try! In a separate small sauce pan, on low heat, add cottage cheese, parmesan, 2 tsp Cajun Seasoning and 4 T almond milk. Once the cheese melts, blend the ingredients until smooth in your blender. Add 1 tbsp at a time of almond milk to thin the sauce. 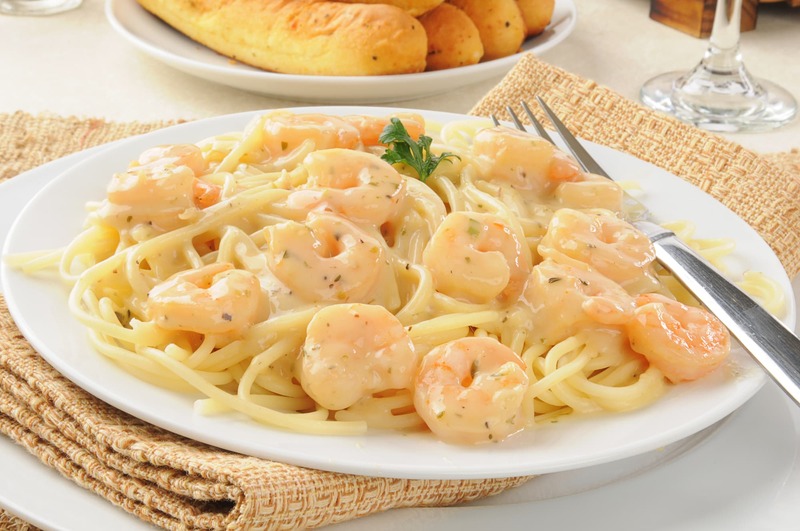 In a skillet, melt coconut oil over medium high heat and toss the shrimp with 1 T Cajun Seasoning. Add garlic to the pan and sauté about 30 seconds. Add chicken/veggie broth and the Alfredo sauce. Toss in pasta with the Alfredo sauce. Stir in spinach leaves and cook until wilted.